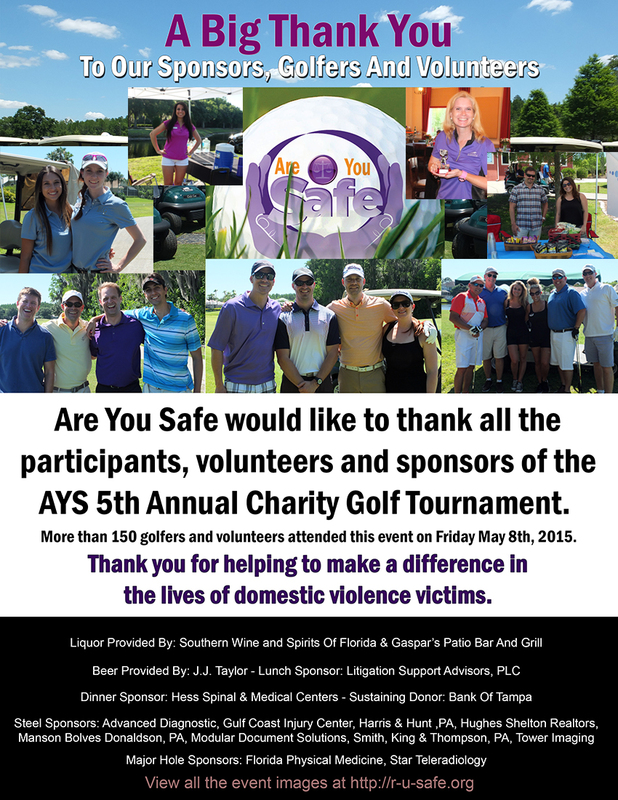 Below is a collection of images that were taken at the 5th Annual Are You Safe Charity Golf Tournament that was held on May 8th, 2015, at Cheval Golf and Country Club, in Lutz, FL. Thank you to all the sponsors and volunteers that participated in making this a fantastic time for all. The funds raised, at the event, will go towards continued domestic violence awareness campaigns and assisting victims of domestic violence.